Leadore -- Multiple search crews spent Saturday looking for a toddler who has been missing since Friday. Lemhi County dispatchers say 2-year-old Deorr Kunz Jr. was on a fishing trip with his family at the Timber Creek campground in Leadore, east of Challis, when he disappeared around 2:40 p.m.
Deorr has blonde hair and, according to dispatchers, was last seen wearing a camouflage jacket, blue pajama pants and cowboy boots. Stephan Rockefeller, an Idaho Falls resident, said over 100 people participated in the search Saturday. K9 dogs were used and several men and women searched on horses and ATV's. No word on if search efforts will continue Sunday. Saturday night the Lemhi County Sheriff's Office said, at this point, they do not need additional volunteers. Anyone who may have information is asked to contact the Lemhi County Sheriff's Office. LEADORE, Idaho - The search for a missing child continued Sunday in Lemhi County. More than 150 people have been looking for Deorr Kunz Jr., who was on a fishing trip with his family at the Timber Creek Campground when he disappeared Friday afternoon. He has shaggy blond hair and was last seen wearing a camouflage jacket, blue pajama pants and cowboy boots. As of Sunday morning, a more than 2 mile radius from the campground has been searched by land and air. Divers have also been out scouring the water. The Lemhi County Sheriff's Department is discouraging anyone from entering the search area. LEADORE, Idaho - Search crews suspended the search for a missing two year old boy who was camping with his family in the Leadore area. Family members say Deorr Kunz Jr. was camping Friday afternoon at the Timber Creek Campground at Stone Reservoir when he was reported missing. Lemhi County Sheriff's Incident Commander Dave Morelli said an Amber Alert was not issued due to the disappearance timeline and other criteria that the case did not meet. "We investigate all angles. we've gone through several theories and several of them we have dismissed, some of them we aren't sure yet. we have to get more facts," he said. "We have all of our law enforcement agencies aware of this. it is in a national database picture. i mean, we've got it covered as far as getting it out there"
The toddler was last seen wearing a camo jacket, blue sweatpants and camo cowboy boots. Lehmi County Sheriff's Office has not confirmed why the search is suspended. If anybody spots the boy or something unusual in the area, they are encouraged to contact the Lemhi County Sheriff's Office at 208-756-8980. LEADORE — Lemhi County Sheriff officials confirmed the search for 2-year-old Deorr Kunz Jr. continues Sunday evening. Family members and officials with the Lemhi County Sheriff’s Office 911 Dispatch Center said they expect the search to go on tonight. Clegg is among the search parties looking for Deorr. She said the sheriff’s office is considering Deorr may have been abducted but currently the case has not been declared an abduction. The dispatch center confirmed the case is still considered a search and rescue. According to a Salmon Search and Rescue news release, the 911 Dispatch Center received a call from family members at 2:35 p.m. on July 10 that their 2-year-old son had gone missing from their camp. The family told authorities he had been gone for an hour. At least 150 people have participated in the search. The sheriff’s department reports one huge hindrance has been folks showing up on their own and entering the search area without the incident commander’s knowledge. 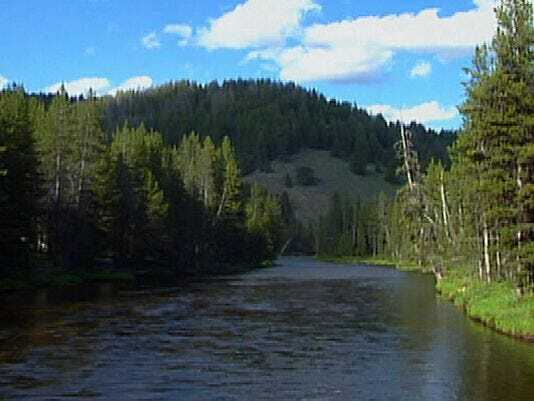 More than 100 people are searching the Idaho campsite where a two-year-old boy mysteriously vanished one week ago. Deorr Kunz Jr. was reported missing from the Timber Creek Campground in Leadore around 2.30pm last Friday. Parents Deorr Kunz Sr. and Jessica Mitchell said they thought their son's great-grandfather was looking after the boy - and the great-grandfather thought the parents had him. Advanced search and rescue crews as well as K9 dogs have been focusing on the Timber Creek and Stone Reservoir, which is just yards away from the campsite where the family was staying. Lemhi County Sheriff Chief Deputy Steve Penner said that teams had been searching the reservoir all week and would continue to do so. The boy's parents said they left their son with his great-grandfather to explore the grounds a little more. When they returned 10 to 15 minutes later, their boy was gone. Kunz Sr. and Mitchell said that as soon as they realized that he was missing, they searched far and wide for Deorr for 20 minutes before calling police, who launched a widespread search for the tot spanning at least 2.5 miles. The missing toddler is described as having blonde hair and was wearing a camouflage jacket, blue pajama pants and cowboy boots when he disappeared. People have been searching for DeOrr Kunz Jr. since he went missing July 10. 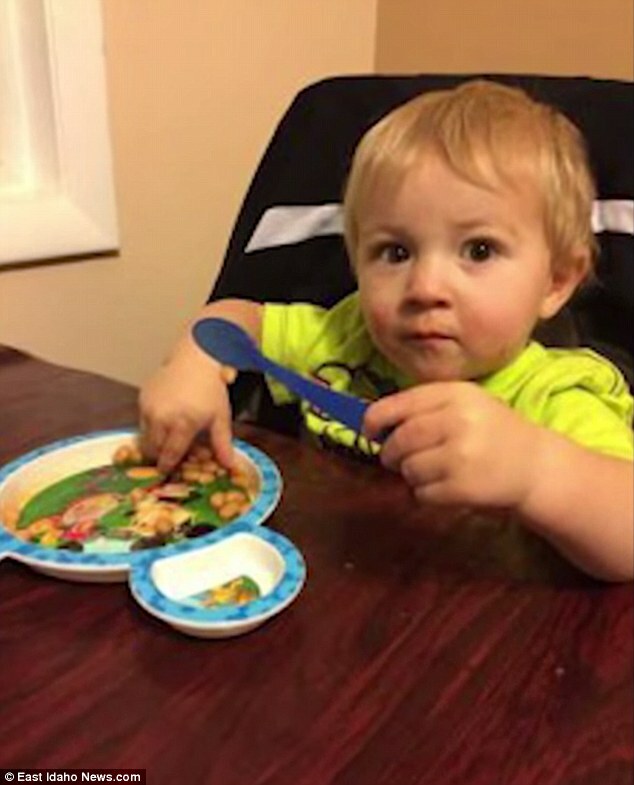 LEADORE, Idaho - A week has passed in the search for a missing Idaho Falls toddler in Lemhi County. While the Lemhi County Sheriff's Office has been handling the search on their own, those with Bonneville County say they are now lending a hand in the efforts. Two-year-old DeOrr Kunz Jr went missing July 10 when the family went camping. The mother, father, great-grandfather and a friend of the great-grandfather all went together. Bonneville County Det. Eric Southwick says late Thursday night the Lemhi County Sheriff's Office requested the use of their dive team. Divers have been in the water numerous times scouring nearby Stone Reservoir for any clue as to the whereabouts of the child. This new dive team has the capabilities of side sonar, according to Bonneville County. Divers typically use a sonar robot to assist them in muddy or foggy waters. The waters of Stone Reservoir are clear. The lake is small with a muddy bottom, according to Lemhi County Chief Deputy Steve Penner. LEADORE, Idaho (AP) — The FBI is sending a team of investigators to assist the Lemhi County Sheriff’s Office in its search for a missing 2-year-old who disappeared during a family camping trip. KBOI reports Sheriff Lynn Bowerman said he’s convinced the toddler was not abducted, but he can’t rule out the possibility. The boy, DeOrr Kunz, was last seen on July 10th at his family’s campsite at Timber Creek Campground, just south of the town of Leadore near the Montana border. For the past three weeks, search teams have combed the remote backcountry to look for the boy. Bowerman said everyone at the campsite — including the boy’s parents, great-grandfather and a family friend — is considered a person of interest in the case, but none of them are suspects. Private investigator helping family of missing Idaho toddler DeOrr Kunz, Jr.
IDAHO FALLS, Idaho — The family of missing Idaho Falls toddler DeOrr Kunz Jr. is working with a private investigator to help find their son. Frank Vilt, a retired U.S. Marshal with years of law enforcement experience, said he’s been conducting his own investigation into DeOrr’s disappearance and he believes the two-year-old was kidnapped. SALMON, Idaho -- A central Idaho sheriff announced Monday that the parents of a 2-year-old boy who went missing in July are suspects in the disappearance. Lemhi County Sheriff Lynn Bowerman says Jessica Mitchell and DeOrr Kunz Sr. have been "less than truthful." "They are the top persons of interest," Bowerman told CBS affiliate KBOI. "Does that mean they're suspects? Yeah I think so." The boy, DeOrr Kunz Jr., was last seen on July 10 at his family's campsite at Timber Creek Campground, just south of the town of Leadore near the Montana border. His parents called 911 to report him missing. Despite numerous searches, no trace of Kunz has been found. Bowerman says that he believes the parents know the location of DeOrr Kunz Jr. and whether he's dead or alive. Idaho Falls, Idaho - Deorr Kunz Sr. has hired an attorney, after being name a suspect in his son's disappearance by the Lemhi County Sheriff's Office. Local News 8 has learned that the toddler's mother, Jessica Mitchell has not hired an attorney at this time. Lemhi County Sheriff Lynn Bowerman says the mother and father are the top two suspects into the toddler's disappearance. The last time the parents say they saw Deorr Jr. was on the afternoon of July 10th at the Timbercreek campground near Leadore. Attorney Allen Browning is representing Kunz. He also believes the father is being truthful about the disappearance of Deorr. “Every time he goes to talk to the police about what they know, about leads as to what happened about his son, where his son might be. They try and get him to confess to being responsible for the disappearances of his son." Browning says this is a common tactic used by police. IDAHO FALLS — Isaac Reinwand, the friend camping with DeOrr Kunz Jr. and his family the day the then two-year-old boy disappeared is speaking out for the first time. Reinwand has been called a “person of interest” in the case and hasn’t spoken publicly about what happened the day DeOrr vanished during a camping trip in Leadore. Reinwand agreed to an interview the day Lemhi County Sheriff Lynn Bowerman announced DeOrr’s parents, Jessica Mitchell and DeOrr Kunz Sr., are now considered suspects in the case. He sat down with EastIdahoNews.com reporter Nate Eaton and producer Stephan Rockefeller for this exclusive interview. Watch the entire unedited conversation in the video player above. Investigators announced that a campground search in Idaho Monday revealed new information and evidence into the disappearance of a 2-year-old boy last summer, but they would not reveal exactly what they uncovered. DeOrr Kunz Jr. was last seen on July 10 at his family's campsite at Timber Creek Campground, just south of the town of Leadore near the Montana border. Despite numerous searches, no trace of Kunz has been found. "Evidence and information gathered during the course of the search will be analyzed and used to drive the investigation forward and assist in the planning of future searches," Chief Deputy Steve Penner told EastIdahoNews.com. He said the new search lasted three days. 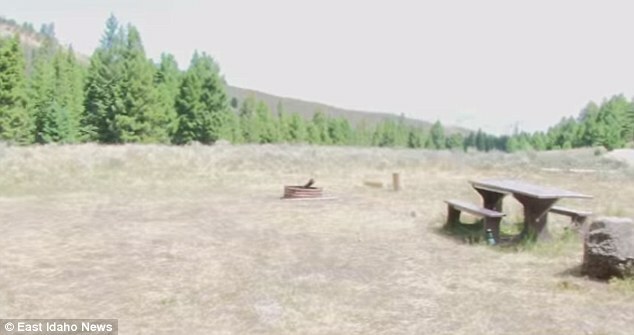 The sheriff's office reportedly closed off the campsite last month. Police said in January they named the boy's parents as suspects, but no charges have been filed. 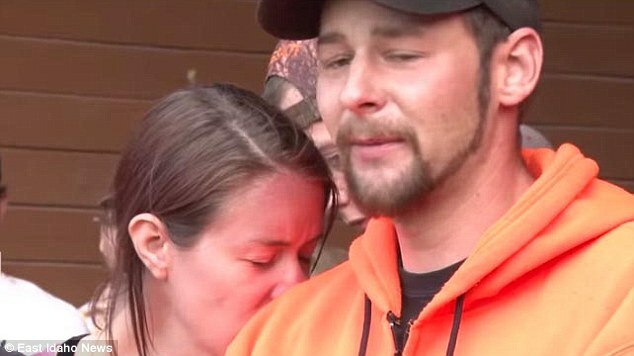 Lemhi County Sheriff Lynn Bowerman said the parents, Jessica Mitchell and DeOrr Kunz Sr., were "less than truthful." BOISE -- In a new report released by Klein Investigations and Consulting (KIC), the firm once hired by the family, several items of interest have been found. Investigators searched the former Idaho Falls residence of Vernal Kunz and Jessica Mitchell, which they had been evicted from for not paying rent. 2. A camo child's jacket similar to being described by both parents as being worn on the day of the event and suggested to be missing with the child. 3. A credit card used by a family friend with seemingly purchases of items unknown to investigators in testimony. 4. An insurance tracking device box and instruction package. The report also states that several thousand dollars is missing from funds raised to help cover the cost to hire private investigators. Over $29,200 was raised by the public to aide in the investigation. According to KIC, $20,000 of the money raised was used for investigator and equipment travel and hotel costs. 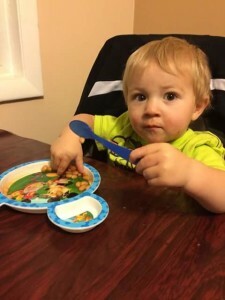 LEMHI COUNTY, Idaho (KBOI) — The parents and grandfather of missing toddler DeOrr Kunz Jr. filed a lawsuit against their private investigator this week in Bonneville County, according to Local News 8. Local News 8 reports the family claims Philip Klein breached his contract with the grandfather, Dennis Kunz. The family says Klein didn’t share information, such as a comment he made in March claiming Jessica Mitchell knew her child was dead and knew where the body was, with everyone who was authorized in the case. Other examples in the lawsuit cited Facebook posts on the Klein Investigations and Consulting page accusing that there was blood evidence in DeOrr's father's truck, however, law enforcement has never confirmed the information. Since then the Facebook posts are no longer showing on the page. Philip Klein issued this statement Friday evening about a civil suit filed against his firm and its investigation into the case of missing Deorr Kunz Jr. This evening a reporter emailed our firm for comment regarding a civil suit filed against this firm in the Kunz case. As of today we have not been served a copy of the formal complaint. We do not comment on pending litigation other than to say the truth is the Ultimate Defense. Further a news reporter seemingly reported to the public that we have deleted comments from this FB site. We consider this an inaccurate statement as we have deleted nothing from our site. We thank the public for their support.